Our school holds several large fundraisers throughout the year, plus we have ongoing fundraisers. 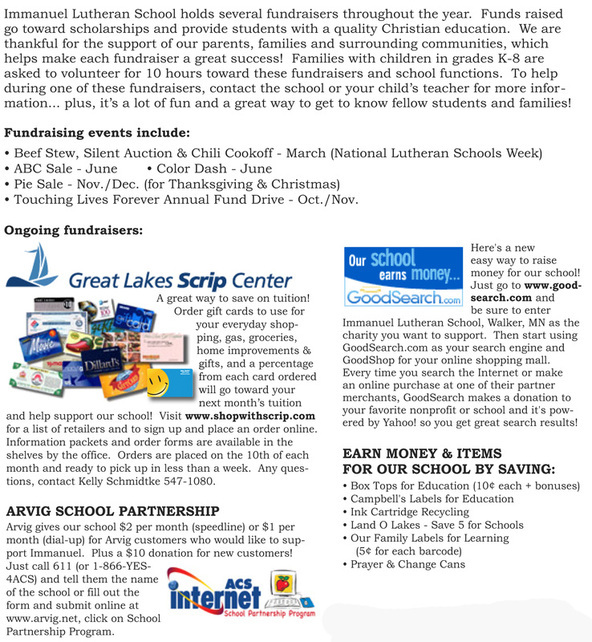 Everyone can help support the school in a variety of different ways! Support Immanuel Lutheran School by shopping at AmazonSmile. Amazon will donate .5% of every purchase to our school!